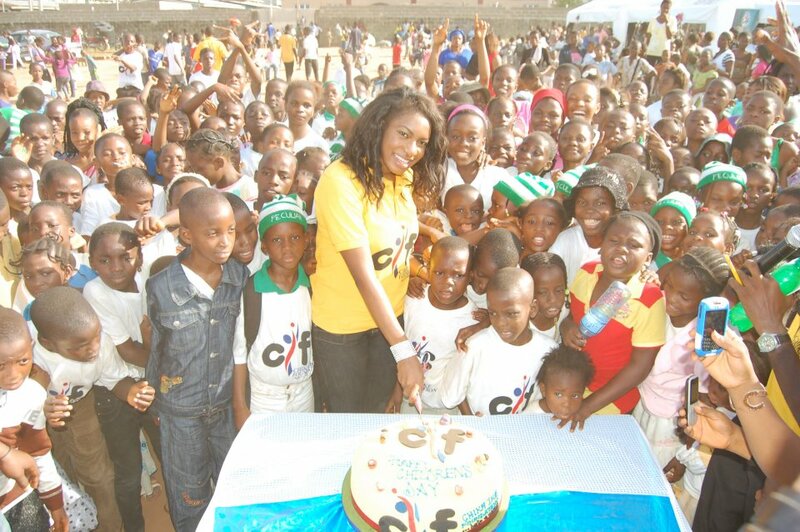 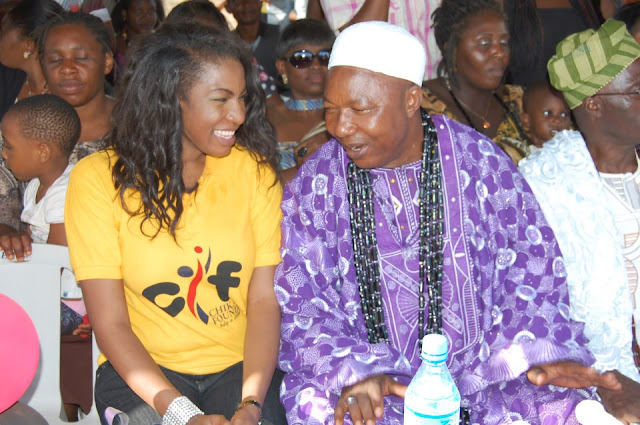 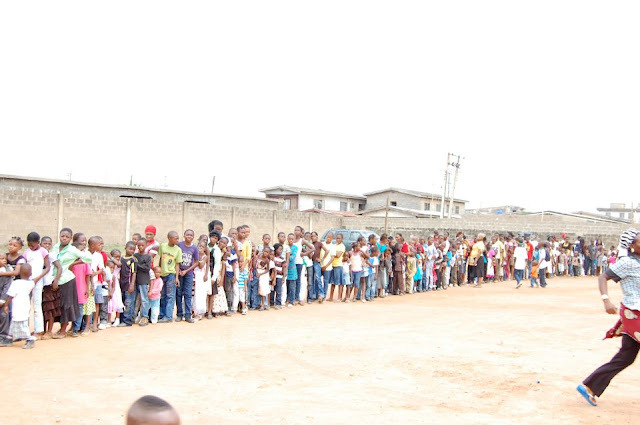 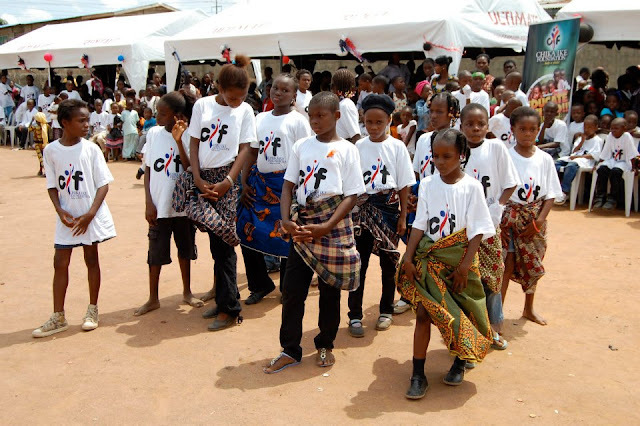 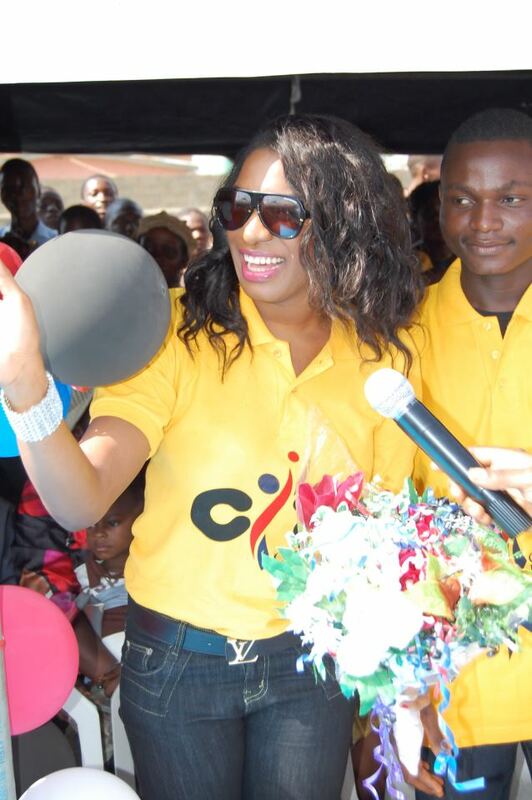 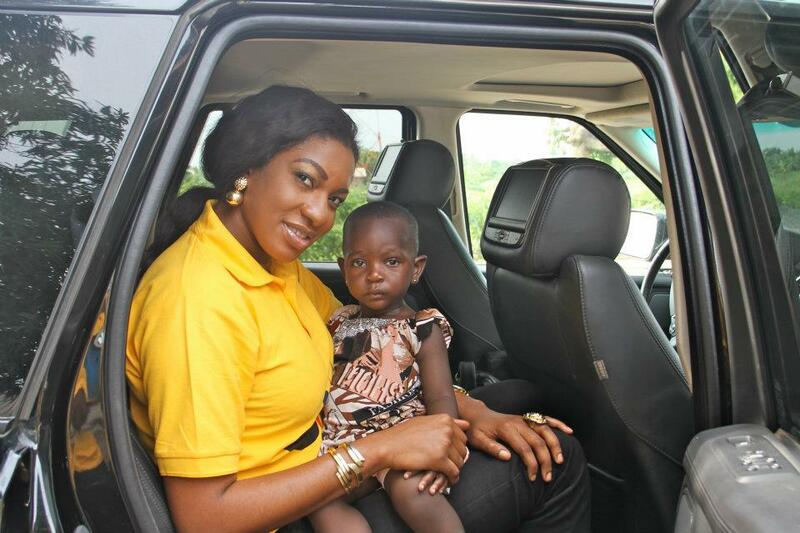 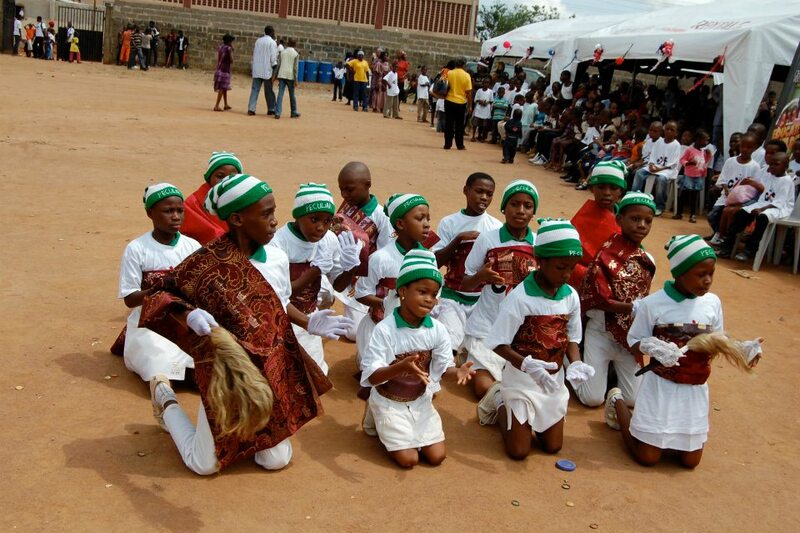 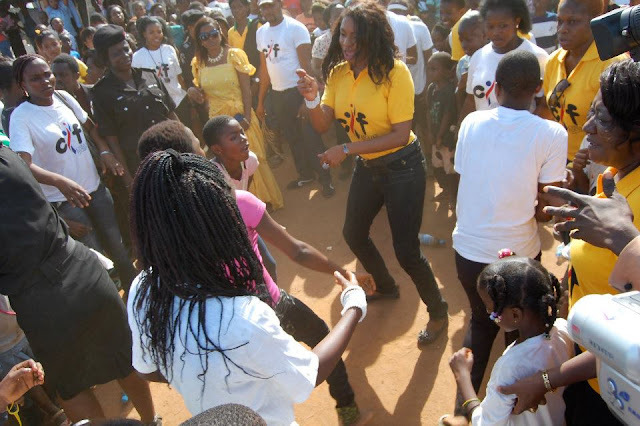 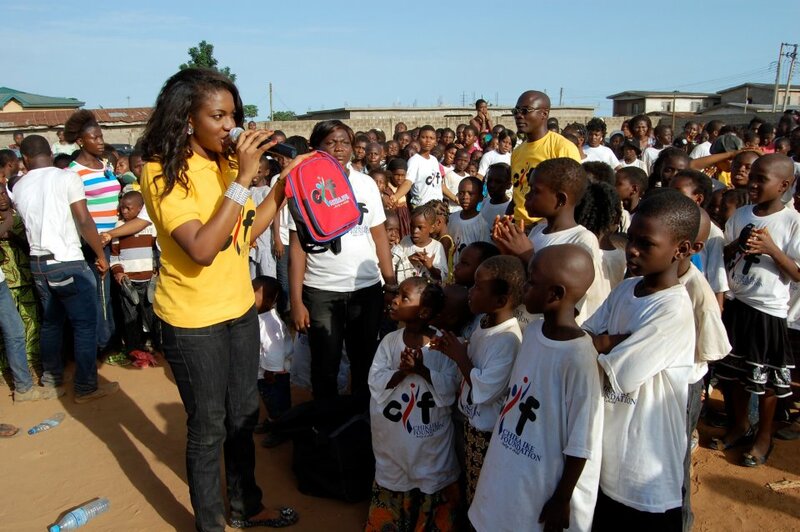 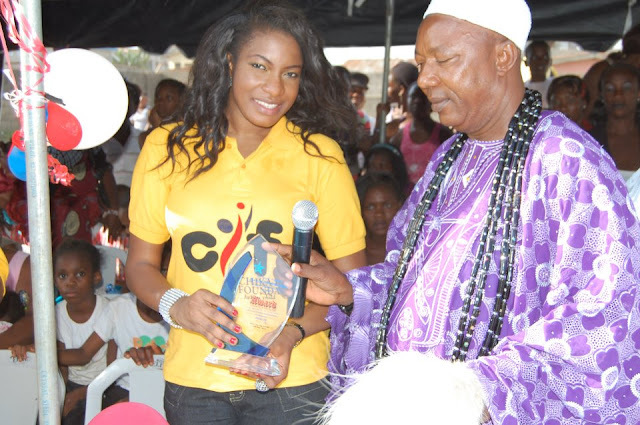 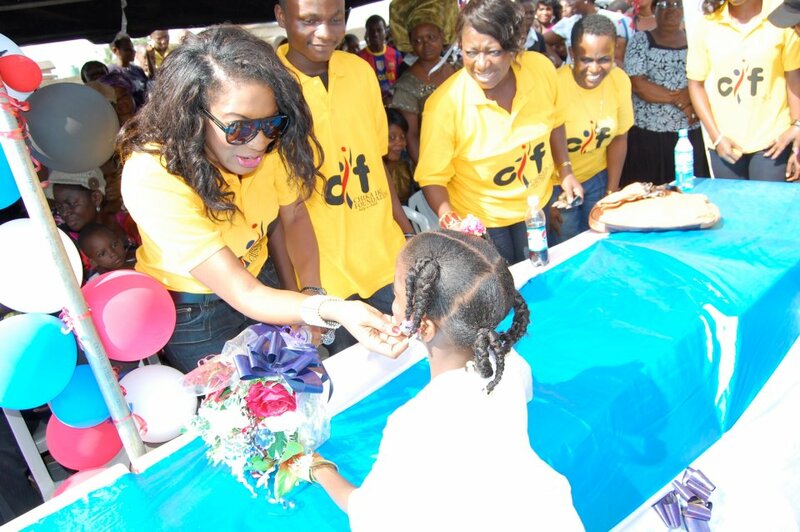 Nollywood actress Chike Ike hosted 3000 street children on children's day,May 27,2012 . The event held at The light chapel church playing ground,Agbodo in lagos was themed 'Educate a child' ,organized through her foundation Chika Ike Foundation. 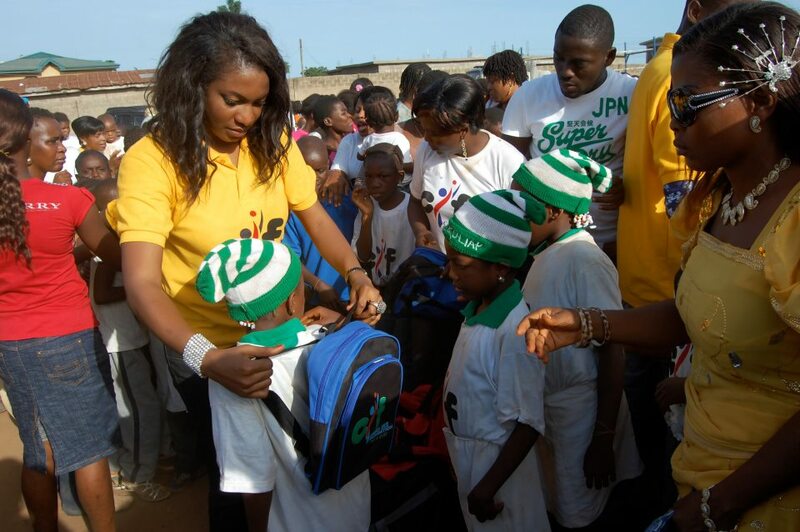 It was organized for kids on the street giving them hope for a brighter future. 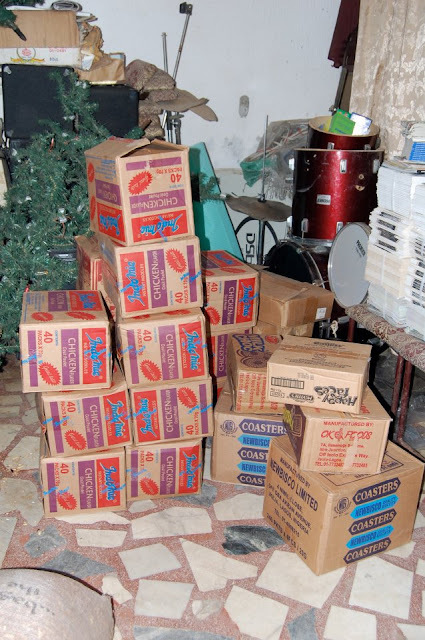 Foodpacks, mathsets,notesbooks,T-shirts ,schoolbags and many other things were presented to the kids. 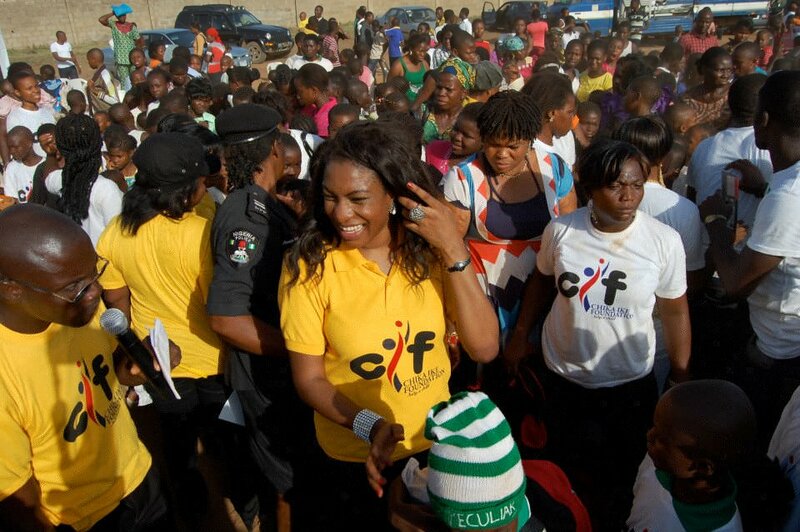 Congrats to her, hope other Nigerian celebs follow suit. God will bless her for remembering the children on the streets and giving them hope! You are one in a million.May the good Lord continue †̥o guide and protect you all the days of U̶̲̥̅̊я life. 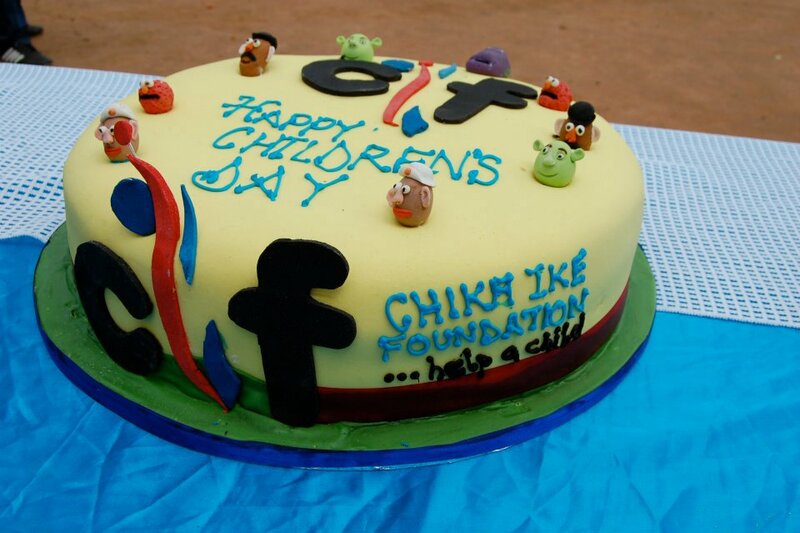 Amen and Amen. 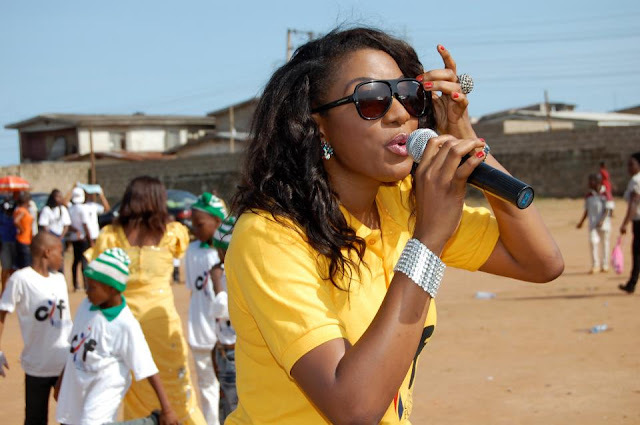 L♥√ع U̶̲̥̅̊ plenty. 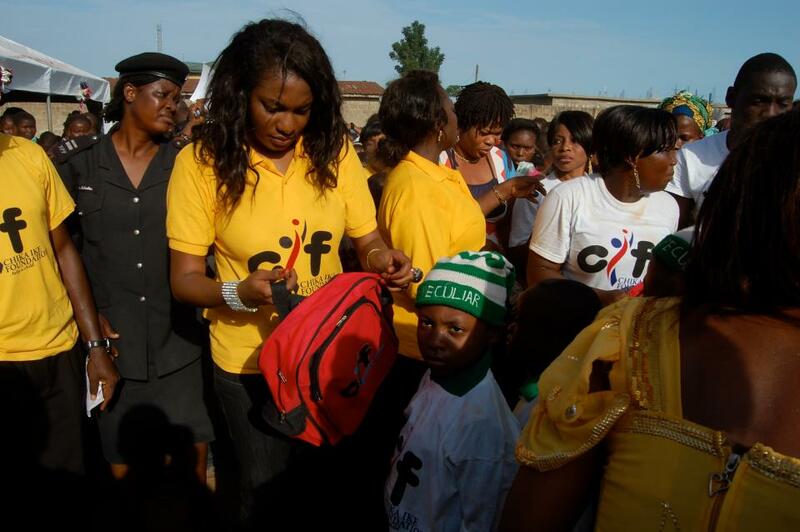 Now that's wat i call "GIVING BACK" .....stay strong and God will continue to bless u!